We are very excited to annouce our first new chapter shirt in over four years! 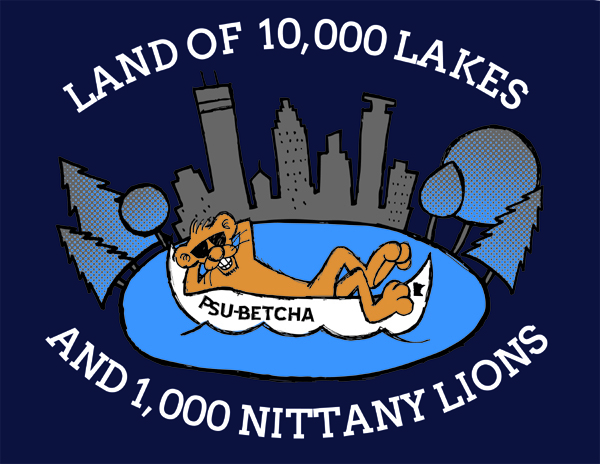 We may be known as the Land of 10,000 Lakes, but we also honor our 1,000 Nittany Lions living here! This year, these navy shirts are available in both short sleeve and long sleeve. We have adult sizes S, M, L, XL immediately available. If you would like a different size, please contact us about placing a special order. 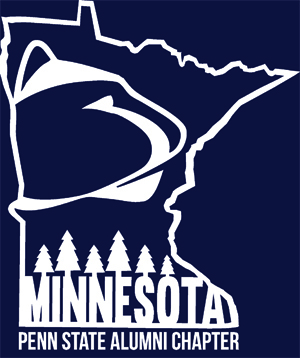 Short sleeve shirts are $12.00 for PSAA-MN Members and $15.00 for non-members. Long sleeve shirts are $20.00 for PSAA-MN Members and $23.00 for non-members. If you would like a shirt, you can order them at our Chapter Store. We can arrange to bring the merchandise to the next TV Tailgate or Chapter function - or ship them for an additional cost.